Another Genesis classic, WOOD ON CANVAS, is now fully subscribed. 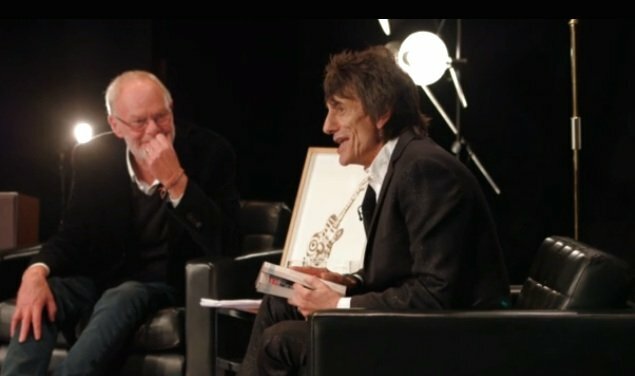 Ronnie Wood's limited edition presents his paintings from Ealing Art College up to 2003, with portraits of The Rolling Stones, Jimi Hendrix, Bob Dylan, John Lennon, Keith Moon and many more. Ronnie's sold-out FAMOUS FLAMES, LIVE STUDIES and DECADES prints have also been showcased in the Genesis Gallery. FACES by Kenney Jones, Ian McLagan and Ronnie Wood has a few copies remaining in the edition, which can be ordered here.